Apologises for the quality of the scan first, it appears the scanner has picked up a few war wounds recently. 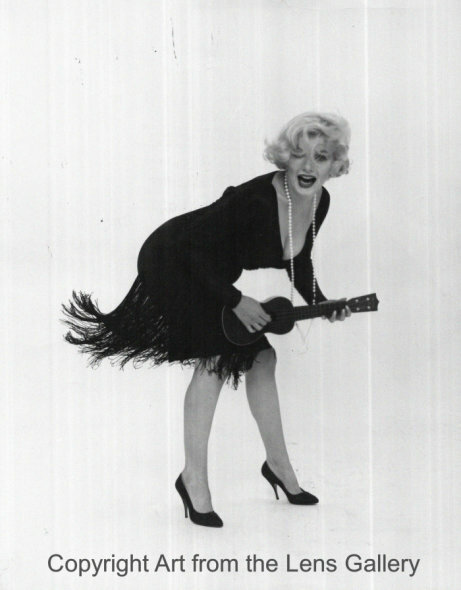 This is a print for press release for the movie, "Some like it hot", and taken by her friend and sometimes business partner, Milton H Greene. A classic pose from a classic movie.